The Kingston Primary Care Mental Health Team was taken by surprise on Thursday 29th November when they were presented with the Star of the Month award after being nominated by Kingston Borough Manager, Maria O’Dwyer. 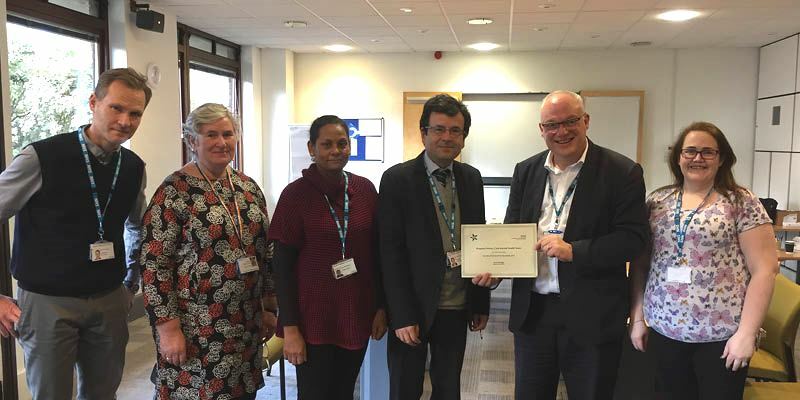 The nomination highlighted the team’s dedicated efforts to keep appointment waiting times low and their work to enhance their service to meet service user needs. It also noted how in the last quarter, 100% of service users felt their concerns were heard, that they were treated with dignity and respect and were involved in the decisions concerning their treatment.